With two small children and a large dog, I have spills happening almost hourly. A coffee spill here, a marker drawing there… It can be almost comical at times. Because we have carpet in the main living area of our house, it takes most of the spills and dirt. 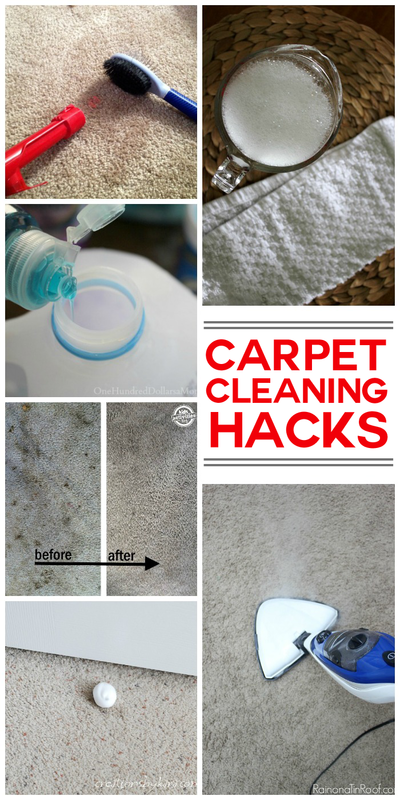 I am so excited to share with you some of my favorite carpet cleaning hacks, because hiring a professional cleaner is not only a pain, it’s really expensive! These cleaning tips will save you money and time. If you have a pesky stain, this magic, two-ingredient solution will blow your mind. It’s so smart and works so good. This is crazy! 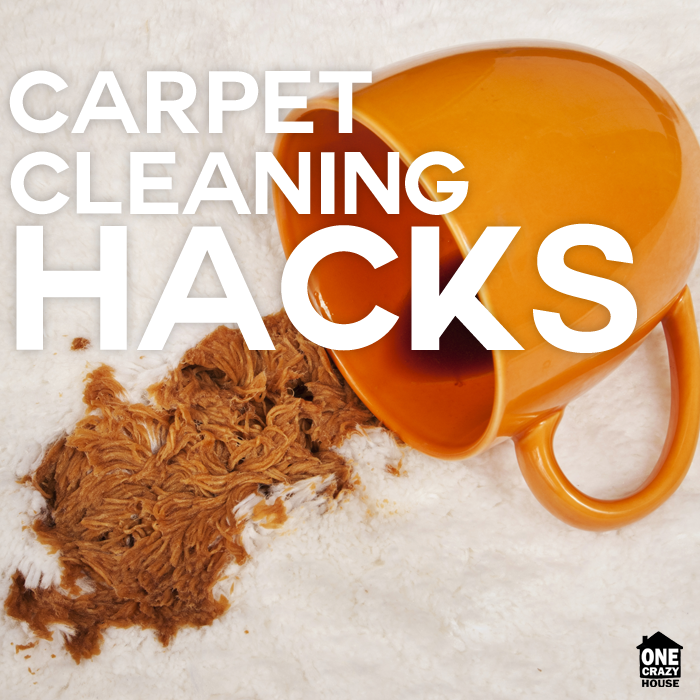 I’ll bet you would never have thought of this simple hack to remove a carpet stain. Get rid of germs and grime in your carpet by using this natural DIY carpet refresher. This DIY carpet solution works wonders on nasty stains. Keep a bottle of this around at all times! If you have your own carpet cleaner, save money on the solution by making your own. Baking soda + vinegar works wonders to get spots off the carpet. Works everytime! If you have pets, more than likely they will pee on the floor now and then. Get the urine smell out of carpets fast by using a steamer. So smart! I have heard people rave about this stuff called Krud Kutter. I know several people who say it can remove ANY stain and can be used on so many surfaces around the house. Looking for a new vacuum? I feel like we were *every* 6 months (probably not that close, but it felt like it) until we discovered our Shark Pro. If you have pets or kids with lots of hair, this is a good vacuum! Works better than many more expensive carpet cleaners we purchased! If your house is anything like mine, you are always picking dried up playdough out of the carpet. 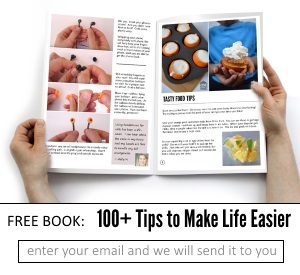 Here is the easiest way to get it out. For deep, set in stains on your carpet, use this trick. I’ve used it on a big brown coffee stain and it worked!